“I’ve never done something only for the money—ever. If you don’t love what you do, you won’t do well at it”. 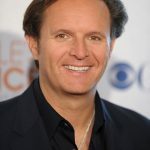 The Emmy award-winning producer, Mark Burnett, openly talks about his faith, his rags-to-riches story, and the keys behind his remarkable transformation from T-shirt salesman to mega successful television producer.